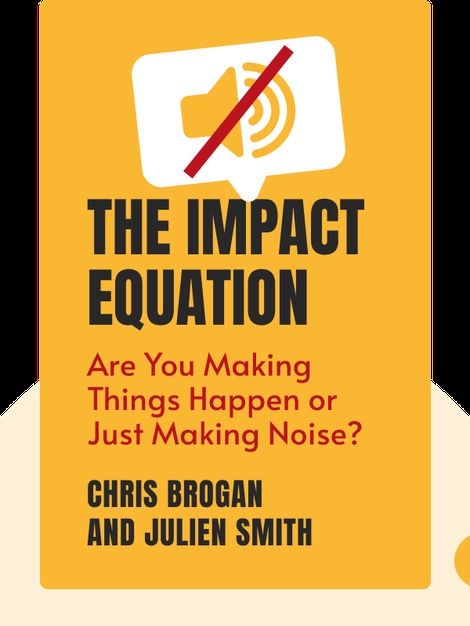 The Impact Equation (2012) takes a fresh look at how companies can successfully introduce a product to a market with maximum impact and keep it relevant over the long-term. These blinks will teach you how to articulate your message, deliver it effectively to your audience and build the trust necessary to keep customers coming back for more. 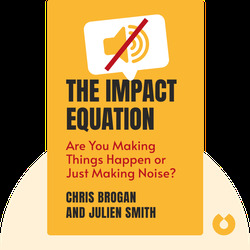 Chris Brogan and Julien Smith are consultants and online communication experts, and have worked with many leading companies such as Google, Microsoft and American Express. Their work has been praised by self-help gurus Seth Godin and Tony Robbins.